Not that I am an expert on the subject, nor am I quick to pass judgment on matters of the heart. Marriage is a funny thing. Do it right and life can be wonderful, however, do it wrong and soon its memories are best forgotten. In this particular tale, I was simply responding to an invitation to attend my very good friends wedding. 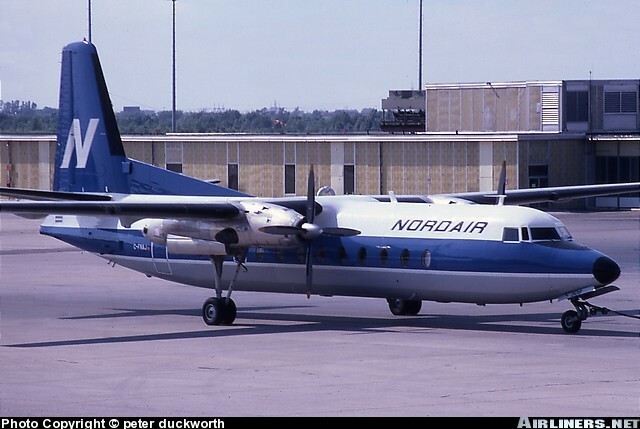 It was March of 1976 and I was climbing aboard a Nordair FH-227 bound for Chibougamau Quebec. Having been late to finish my midnight shift, I scrambled on board at the last possible minute before departure; one of the few perks of being an airline employee. As soon as I entered the cabin I instantly recognized that a number of the passengers were Maurice’s family. They were a little startled as I recall, most likely because I entered the plane through one of the service hatches, but soon we were on our way and chatting about old times. Maurice was a Radar Tech in the Canadian Forces working in Chibougamau on the “Pine Tree Line” and was due to marry a local Quebec girl he had met while stationed there. Despite the fact that our Ontario contingent spoke little or no French, and the bride’s family spoke minimal English, we still managed to have a wonderful time at the wedding. During the reception Maurice’s new Father in Law was particularly delighted that he had a Nordair aircraft mechanic in attendance, and despite our language barrier, managed to tell me about his airplane. Parked on a nearby lake he had a Piper Cub on floats, and he insisted that we go for a flight the following morning. It was a crisp cool spring morning, truly a magnificent day for flying, when we arrived at the lake and he insisted I inspect the plane before departure. In the interest of my own personal safety I was only too happy to comply, and found the little Piper to be in top condition and obviously very well maintained. He prepped the plane for flight, primed the engine and while standing on the left float expertly hand propped the Continental to life. Once inside he did all his cockpit checks making sure I witnessed and confirmed the mag-drop check and we taxied out from the dock. He had hinted at having modified the engine with larger cylinder assemblies, and I believe it had been up-rated from a 65 HP to an 85 or 90. Soon the aircraft was up on the step and broke free of the lake, skimming the water to build sufficient airspeed for climb. Once clear of the trees at the end of the lake we did a gentle arcing turn that revealed a magnificent view of the lake and the town below. We floated around for about twenty minutes as he pointed out the mines and other points of interest. I took the controls at his request and played pilot for a small part of our journey and thoroughly enjoyed myself. When we returned to the dock, a line up of other friends and relatives were lined up for additional joyrides. It was a wonderful experience and I thanked him for his kind hospitality. Later in the weekend while having a discussion with Maurice I found out that his Father-in Law had single-handedly rebuilt the entire aircraft, including overhauling the compete engine right down to stripping the carburetor and magneto’s. He was a very capable mechanic who ran an overhaul business rebuilding electric motors for all the local mining operations. I also now better understood his obvious pride in demonstrating the engines cockpit checks and performance. In hindsight it was very likely the aircraft was flying without a valid C of A, or any paperwork for that matter. Come to think of it he may not have even had a pilots license. We were, after all, in the heart of the Quebec bush and in any case, it was clearly a well-maintained aircraft. My little pre-flight walk around may have been the closest it got to an annual inspection, and I was happy to oblige. It remains a terrific memory of a beautiful flight. As for the marriage, unfortunately it did not last. Life in the Canadian Forces can be very hard on relationships and a few postings later they split up and went their separate ways. Maurice and I are still good friends and he is happily remarried and living nearby in Toronto. Like I said in the beginning, I don’t pass judgment on relationships. I have had my own share of ups and downs in that department. Still I am sure we both share memories of our adventures in Chibougamau, at least from my perspective, most of mine are short and sweet.